Do our eyes create light? Do our ears create sound? Most people would say no, convinced that light and sound only comes in from the outside world, neglecting how our experience of light and sound is created within the brain from the inputs of our eyes and ears. But now consider the related question: Do our minds create thought? Most people would say yes. Why the difference? Most of us have been conditioned into believing that thought is created in our brain, and that our mind is merely a side-effect of our having a brain, rather than our mind receiving the input of thoughts which are then created in the brain. If you are open to that possibility, this first book by Rudolf Steiner may overturn several of your presuppositions about reality and reveal to you new ways of understanding the world. He is writing here in a Preface to the 1924 edition. [page 2, Preface] Eduard von Hartmann — whose philosophy had been of great service to me despite the fact that I could not agree with its fundamental presuppositions or conclusions — maintained exactly the same point of view as Volkelt regarding the theory of knowledge. Everyone acknowledged that human knowledge reaches certain barriers that prevent entry into the realm of true reality. In opposition to all this, I asserted that, if we deepen our thinking sufficiently, we can live in a spiritual reality that we experience inwardly and recognize in life. I believed that I possessed this spiritual knowledge with the same clarity of consciousness that characterizes mathematical knowledge. In the presence of such knowledge, it is impossible to maintain the opinion that the limitations of cognition exist as asserted in the philosophical reasoning mentioned here. The first presupposition about reality which Steiner had to overcome was that we can only know the surfaces of the material world, never the inner spiritual reality. As a native clairvoyant since birth, he knew this view to be false from his own experience. He also realized that others did not possess such experience, and he likened them to those who had not learned to read. [page 2, Preface] In the course of time, as perceived by the senses, the spiritual in the human being seems to have evolved from what was previously non-spiritual. However, the sensory world, when correctly perceived, manifests everywhere as a revelation of the spiritual. In the light of this true knowledge of the sensory world, I saw clearly that "boundaries of knowledge," as then defined, could exist only for those who cannot know what lies beyond the physical world, just as someone might insist that a page of printed words is impossible to decipher merely because one has not taken the time to learn the forms of the letters. Our attitude shapes our perception, and the attitude we inherited from Volkelt, Hartmann, etal, leads us to believe that our thoughts exist in ourselves, not like light and sound, which most agree, exist and emanate from the things around us. Steiner disagrees, holding that thoughts, like light and sound, stream into us from the sensory world. [page 3, Preface] Behind sensory appearance I did not seek non-spiritual worlds of atoms; rather, I looked for the spirit that seems to reveal itself within the human being but actually belongs to the objects and processes of the sensory world itself. Because of our attitude in the act of knowing, it seems as though our thoughts about things exist in ourselves, whereas they really exist within the things themselves. Human beings feel a need to separate seemingly experienced thoughts from the things; in a true experience of knowing, we return thoughts to the things. It was his work in Goethe's Archives which led Steiner to discover that both of them had a similar epistemology (a way of understanding what it means to know something). [page 3, 4, Preface] In this work, I followed Goethe's life in all the areas of knowledge in which he was active. It became increasingly clear to me that, in every respect, my own views placed me within the epistemology in Goethe's worldview. [page 18] Everything that becomes an object of knowledge must first accommodate itself to this form of confrontation. We are incapable of raising ourselves above this form. Before we can gain a deeper understanding of the world through thinking, thought must itself become experience. We must look for thought itself as a fact of experience. This is the only way that our worldview can avoid a loss of inner coherence. Such a loss would happen immediately if we tried to include an alien element. We face pure experience and look within it for the element that illuminates itself and the rest of reality. If we examine pure experience, one animal looks like another; a jellyfish is equivalent to a jaguar, a potato farmer to Napoleon. [page 19, 20] At this level of consideration, the world appears to our minds as an absolutely flat surface; no part rises above any other; nothing has any distinction. Until the spark of thinking strikes this surface, we do not perceive elevations and depressions; nothing appears above or below the other. With thinking, everything assumes a certain form; lines run from one form to another, and the whole becomes a integral harmony. Experience of the phenomena of the world without thinking is just one blooming thing after another, with no coherence or interrelationship. [page 20] It would certainly be fallacious if we compared the perceptual world, with its endlessly varied forms, to the uniform monotony of a level plain. But our level plain was not intended to resemble the actual manifold world of phenomena, but rather the unified, total image that we have of that world before thinking has come in contact with it. After thinking has been activated, each discrete entity in the whole appears not as it was when mediated by mere experience, but now with its particular significance in relation to the whole of reality. 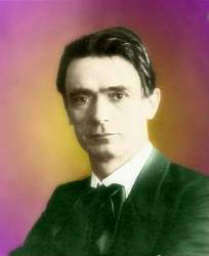 Rudolf Steiner is describing what Alfred Korzybski was to later call WIGO — the What Is Going On in the world before the human mind creates the first level of abstraction (1). It is also the world of the infant before its thinking processes kick into gear fully and engage with the world. Steiner, like Korzybski, uses the concepts of the level plain merely to call attention to a reality that is free of thought — pure experience, no concepts — as Korzybski would call it the ultimate Territory, about which we make maps (concepts) upon maps at each level of abstraction in the process of thinking. Since we have thought, when we encounter the world of experience as a series of unrelated perceptions, we meet "a chaos which includes thought." (Page 32) Now we understand how thought and experience are interrelated. [page 33] In other words, thought and that which appears to the senses confront each other in experience. The latter, however, does not tell us about its own nature, whereas the former tells us about both itself and the nature of what appears to the senses. The epistemology of Immanuel Kant has led science into the opposite direction of Goethe, and thus its inability to comprehend the genius of Goethe's approach. Let us look into what a concept is. [page 38] Concepts are supposed to reproduce the object, mediating to us its true image. Often, when thinking is the topic of discussion, people imagine only this preconceived relationship. Seldom does anyone attempt to traverse the realm of thought within its own sphere to discover what may be found there. Here, we will investigate this realm as though nothing existed beyond its boundaries — as if thought were all of reality. This was the kind of investigation which Kant neglected that led to his inability to comprehend Goethe. [page 39] It is not Goethean, in the truest sense of the word, to begin with an assumption that is not based on observation, but one inserted by the observer into the phenomenon. However, this is what happens when one sets, as the peak of scientific knowledge, the view that a presumed relationship exists between thinking and reality, between the idea and the world. The only way to treat this matter in a Goethean way is to enter deeply into the nature of thinking itself and then observe the relationship that arises when this thinking, known according to its own nature, is related to experience. For example, a physicist who starts with Newton's concepts of light is ill-equipped to observe the relationship of light the way Goethe does, in fact, said physicist will find it incomprehensible. And yet, Goethe examines phenomena of light directly, which anyone can do and reach the same results. How can one reach the same results as Goethe? One need only avoid starting with the concepts of Newton, but rather with one's own experience in the manner of Goethe. [page 39] Goethe always takes the path of experience in the strictest sense. He first takes the objects as they are, then tries to penetrate their nature while waiting to see what develops. One tries to allow nature an opportunity to demonstrate her laws under especially characteristic conditions that one brings about. Our modern science sees perception as the only source of its data about the world and understands its goal to be recording that data. Such a science offhandedly rejects the possibility anything beyond sensory perception. On the other hand Steiner sees our mental creativity as actively extracting knowledge out of what we would otherwise receive only as perceptions. [page 44] Knowledge permeates perceived reality with the concepts that our thinking has grasped and worked through. Our mental activity lifts something out of the darkness of mere potential into the light of reality, and through this it supplements and deepens what we passively receive. This assumes that perception must be supplemented by the mind, and thus, that perception is absolutely not definitive, final, and conclusive. What is the creativity of our mental activity? We stand as it were on the prow of a ship which is parting the sea of reality: on the left side of the ship we see the wake of what is offered by our senses (percepts); on the right side we see the wake of what is hidden from our senses but revealed by our thinking (concepts). To quote Henry Barnes, "But our everyday consciousness — like the prow of a ship cutting through the waves — divides the waters of the single ocean of experience into two separate streams that flow past and through us as percepts from without and as concepts from within." [page 44, 45] Thinking is an organ of the human being intended to observe something higher than what is offered by the senses. Thinking can access a side of reality that is beyond the awareness afforded to a merely sense-bound being. Thought does not exist merely to chew over what the senses reveal, but to penetrate what is hidden from them. Sensory perception provides only one side of reality; the other side is grasped through thinking. When Darwin's ship, the Beagle, moored offshore of South America, the natives did not see a boat, a boat much larger than any of their boats, instead, when asked, they reported seeing only a large bird offshore. How can that be? Did the natives not have a true perception of the Beagle, or did their perception lack content (a concept) in their thinking? Did Darwin's men know that they themselves only recognized their ship from the shore because they filled their perception with content? [page 47] One completely ignores the fact that mere perceiving is the emptiest thing imaginable, and that perception receives all of its content from thinking. The sole truth of the matter is that perception holds the constant flow of thought in a definite form, without our active cooperation. The fact that one who has a rich mental life sees a thousand things that may remain unseen by one who is mentally impoverished shows as clearly as sunlight that the substance of reality only reflects the content of the mind, and that we receive only an empty form from outside. Like a translator for the deaf, our thinking is the interpreter of the silent gestures of experience for us. Science can only be real science which understands this primacy of our thought-content. [page 48] All sciences should be permeated by the conviction that their content is solely thought-content, and that their only relationship to perception is that they see a particular form of the concept in the perceived object. Contrast and compare. How many quake at recalling an assignment given by a teacher which began with those two words? Few students realize that they are being given a lesson in the two primary purposes of thinking itself! [page 49] Thinking must fulfill a twofold purpose: First, to form sharply outlined concept; second, to unite individual concepts into a unified whole. The first is a process of differentiating (contrasting) ; the second, one of combining (comparing). When we contrast, we notice differences; when we compare, we notice similarities. In making distinctions, we follow the path of Linnaeus who noticed differences in plants and separated them into species by their differences. He kept dividing and making concepts of each division by giving it a new name, the species or sub-species name. His was a work of intellect, and intellect cannot go beyond such analysis, "it merely clings to the separated members." (Page 50) The intellect separates us from reality. To go beyond the intellect is the work of reason, which begins by comparing the concepts of the intellect, seeking a hidden unity in the diversity created by the intellect. As a physicist in my younger days, I began to feel more alienated from friends and relatives the more my intellect began to understand the diversity in the world. Somehow it occurred to me that they knew something that I was missing, we were in discord, and I didn't know what the source of the discord was. [page 50] This is the source of discord between intellectually-pursued knowledge and the human heart. The thinking of many people is not developed enough to reach a unified worldview that they can grasp with compete conceptual clarity, but they may be quite capable of penetrating the inner harmony of the world through their feeling. The heart gives them what a trained scientist receives through reason. When such people encounter an intellectual worldview, they scornfully reject the endless multiplicity and cling to the unity, which they do not really know but sense more or less vividly. They see very well that the intellect is alienated from nature and that it loses sight of the spiritual bond that unites the parts of reality. What is an idea? Got any idea? Steiner had one and shares it with us. [page 51] A concept is a single thought grasped by the intellect. When I bring a number of such single thoughts into a living flow, so that they intermingle and become connected, thought-structures arise that exist only in reason and cannot be attained by the intellect. Creations of the intellect surrender their separate existence to reason and live on only as parts of a totality. The structures formed by reason we shall call ideas(2). [page 55] Thought is related to our mind as light is related to the eye and sound to the ear. Surely no one would think of color as something that permanently impresses itself on the eye, remaining there as if it adhered to it. Nonetheless, this is the prevailing view when it comes to the mind. It is presumed that a thought of each thing forms itself in the consciousness and remains there to be brought forth as needed. One particular theory has been based upon this view, as if thoughts we are unaware of at the moment were preserved in our minds, lying just below the threshold of consciousness. Steiner is now able to declare that his epistemology places thought in a most important place in the world. [page 56] Our epistemology leads to the positive conclusion that thought is the essential nature of the world, and that individual human thinking is its particular form of manifestation. A mere formal theory of knowledge(3) cannot do this, but remains barren. Newton's concept of gravity was often criticized in his time for not having an explanation other than the world just works as if it exists; gravity was a postulated truth to Newton, in Steiner's terms, a dogma of revelation (Page 59). In our time the various concepts of quantum mechanics can be considered as a dogma of experience because we do not claim to access the inner workings of quantum mechanics, only its external manifestations. In Steiner's views on the matter, we are not given any postulates of the unseen world such as gravity, but rather the very substance of the unseen world flows into the world. [page 60] We have a direct insight into the objective, not merely the formal, grounds for the formation of a judgment. A judgment is made about its own content, not about something alien. Therefore, our view forms a basis for real knowledge. Our epistemology is truly critical. According to our view, not only is nothing conceded to revelation, for which thinking does not contain objective reasons, but experience must also be perceived within thinking — not just in terms of its manifestation, but also its effects. Through thinking, we lift ourselves from perceiving reality as a product to perceiving reality as something that produces. For many years I worked in Instrument & Controls Systems for a large complex of chemical plants, for a manufacturer of such systems, and for a nuclear power plant. My area of expertise comprised the real-time computers controlling and monitoring the processes which controlled the plants. We had instruments which read simply ON-OFF, sensors which read temperature and pressure, gas chromatographs which read chemical compositions, computers which monitored the status of the instruments, and even computers with programs which optimized the mixture of chemical products. There was only one instrument which was irreplaceable, which we never talked about as an instrument at all, Man. The human operators bore the ultimate responsibility for interpreting all the lower instruments to ensure that the goals of the plants were met, goals that no other instrument, no man-made computer system, no matter how complex, could understand or accomplish. It is Man, the human being, who is the ultimate instrument, the ultimate measurer and measurement of reality on Earth. We design our instruments to do in a chemical plant what we as humans could do if we were at each spot where the instrument is — our instruments and controls in a plant are necessarily anthropomorphic, designed to do what a human can do, read temperatures, pressures, valve positions, motors running or not, etc. As the ultimate instrument, humans can do things which instruments cannot do because we are not a man-made instrument. We have capabilities we do not understand and can never implement into a machine or a computer. We are the ultimate instrument, the unmakeable instrument, a paradox by any line of thought. We can, as Steiner said, "perceive reality as something that produces" and no man-made machine can do that. We are the producer of novel instruments never before created, and no machine can do that. And it is by contemplative thinking that we do what we do best. 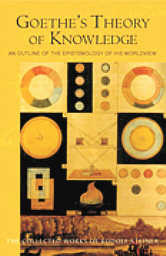 [page 60, 61] The essential nature of a thing thus comes to light only in relation to the human being. the essential being of each thing appears only for human beings. This forms the basis for relativism as a worldview; a trend of thought which assumes that we see all things in the light that the human being lends to them. This view also bears the name anthropomorphism, which has many representatives. Most of these, however, believe that this peculiarity of our cognition alienates us from objectivity as it is, in and of itself. We perceive everything, so they believe, through the spectacles of subjectivity. Our worldview shows us the exact opposite. If we want to reach the essential nature of things, we must view them through these spectacles. The world is not merely known to us as it appears, but rather appears as it is, though only to contemplative thinking. The form of reality that the human being in this way delineates through scientific knowledge is ultimately its true form. Chapter 15, Inorganic Nature, is useful for those who do not have a firm basis in science. The key point Steiner makes in this chapter is that the "experiment is the true mediator between subject and object in inorganic science." [page 68] The purpose of the experiment is to insure that nothing affects a given process in addition to what we have included in our calculation. We arrange certain conditions whose nature is known to us, and observe what follows. Thus we have an objective phenomenon resulting from subjective creation. We have something objective that is also thoroughly subjective. The experiment, therefore, is the true mediator between subject and object in inorganic science. Organic Nature in the next chapter refers to comprehending life and its manifestations, something science did not attempt at all until recent centuries. All Kant could do was to focus on our inability to understand an organism using the tools of inorganic science, specifying the "idea of purpose as the basis for observing organisms". Kant made this inability of science into a scientific principle, something which Goethe strongly opposed. While Kant could not form concepts of the state of being of an organism, Goethe chose to focus on concepts and processes of becoming of an organism. Goethe could not accept that laws of inorganic nature should be applied to organic nature. [page 72] It was believed that one should simply take the methods of inorganic science into the organic realm. In general, only the methods applied by inorganic science were considered scientific; people thought that, if an organic science is possible, it must be "scientific" in the same way as, say, physics. However, one forgot that the nature of an organic science might be far broader than "an interpretation of the universe according to the laws of the physical world." Even today, we have not yet recognized this truth. Rather than investigating what makes the inorganic sciences "scientific", and then looking for a way to apply that to the living world while maintaining its organic requirements, the laws discovered at those lower stages of existence are simply declared universal. What Goethe found was the fundamental basis for understanding an organism in its general form, even though any appearance of the organism will be only in some specific form. This general form, Goethe called a type. We have no better word for it, but understanding the meaning of type requires some study. [page 74] In inorganic nature, we become aware of a certain fact, and we look for a second and third fact to explain it, with the result that the first fact seems to be the necessary result of the latter ones. This is not the case in the organic world, where we need something in addition to the facts. We must find a basis for the influences coming from outer circumstances; yet one that does not passively allow itself to be determined by them, but instead actively determines itself under their influence. What is this fundamental basis? It must be what appears in the particular with the form of the general. Nevertheless, a definite organism always appears in the particular. Thus, the basic element is an organism in the form of the general — a general image of the organism that includes all of its particular forms within itself. Following Goethe's precedent, we shall call this general organism the type. Regardless of what the word type means etymologically, we use it in the Goethean sense to mean simply what we have described. The type is not developed in all its perfection in any one organism. Only rational thought can comprehend this type by abstracting it as a general image from the phenomena. The type is thus the idea of the organism — animal nature in the animal and the general plant in the particular one. The important part to remember is that what exists as law for the inorganic world exists as type for the organic world. One cannot see an example of the type in the sensory world, only in the mind's eye, just as one can only experience law in one's mind. One can only see a particular incarnation of a type, much like one can view a single frame of a movie, but cannot view the entire movie in one frame. A type is like a mental movie of which the particular organism before us represents but a single frame. [page 75] The type is the true elemental organism — the elemental plant or animal according to how it ideally specializes itself. It cannot be any single sensorially existing entity. With organic science the evolutionary method must replace the method of proof. (Page 78) Here in organic science the living, growing, evolving of the organism is visible in the mind's eye as the living movie we call a type. [page 78] Here the evolutionary method must replace the method of proof. We do not establish that the external conditions act upon one another in a certain way, thus bringing about a certain result; rather, we develop a particular form out of the type, under certain external conditions. This is the radical difference between the inorganic and organic sciences. No other method of research makes this distinction as consistently as did Goethe. No one else recognized, as Goethe did, that an organic science must be possible apart from any vague mysticism or teleology, and without assuming particular ideas about creation. In addition, no one else more definitely rejected the demand to begin applying the methods of inorganic science to this field. To understand the radical stance Goethe took against Kant is important. Goethe urged the use of intuition as a power of judgment, an intuition which Kant claimed that he had proved humans incapable of having. Kant, in my view, mistook the particular in himself and projected it upon the general capability of human beings. Yet, if we study the history of science, especially the life experiences of great innovators, we find that the very intuition, that Kant would call "Goethe's defect", is an essential component of discoveries. Kekule, in his dream of the molecule as a snake reaching around to bite its tail, discovered the essential ingredient in the structure of all organic molecules, the so-called benzene ring! Kekule had no proof that benzene was a ring structure of carbon and hydrogen atoms; the idea in his intuitive dream preceded the proof. Einstein took a ride on a photon in a light beam to formulate his earth-shattering theory of relativity and the equivalent of mass and energy. Einstein had no proof that his imaginary trip would lead to the atomic bomb, the idea preceded the proof. The idea for such a ride existed first only in Einstein's intuition. As Steiner so accurately points out on page 81, "Insight gained through intuition is no less scientific than that gained by proof." [page 81, 82] The ideal of inorganic science is to grasp the wholeness of all phenomena as a unified system, so that we may recognize each phenomenon consciously as an element of the cosmos. In organic science, by contrast, the ideal is to have the greatest possible perfection of the type in its phenomenal forms, which we see evolving in a series of separate entities. The important thing is to return to the type through all of its manifestations. In inorganic science, we have the system; in organic science, the activities of comparing each form with the type. Spectral analysis and improvements in astronomy extend the truths attained on Earth into the universe. In this way, those sciences approach the first ideal. We will fulfill the second ideal when science fully recognizes Goethe's comparative method. My college training was in the Sciences, primarily in physics, and we science majors laughed at those students in the Arts & Sciences, considering them dilettantes when it came to Sciences. We never considered for a moment that the obverse was true: we were dilettantes in the Arts. What is the essential difference between the Arts and the Sciences? In the Sciences, the mind grasps material. In the Arts, the mind grasps the mind. Which type of subject is harder? To me, today, it is clearly harder to grasp the mind than to grasp the material world. After spending the first half of my life grasping the material world, I have spent most of the second half grasping the mind. My ability to understand this, to make this distinction, I owe to Steiner who wrote this book when he was only about 23. [page 83, 84] In fact, the genuine, truest form of nature is expressed in the human mind, whereas only nature's outer aspect would exist for a mere sensory being. Science here plays a significant role in the world; it finishes the work of creation. Nature is interpreted to itself in human consciousness. Thought is the final member in the sequence of processes that forms nature. This is not so in the humanities, where human consciousness deals with mental content itself — with the individual human mind, with the creations of culture, of literature, with the succession of scientific convictions, with the creations of art. The mind grasps the mind. Here reality already has in itself the ideal, or lawfulness, which otherwise appears only in mental comprehension. What the natural sciences offer as a product of reflecting about the objects, is inherent in them in this case. Science therefore plays a different role; the essential being would also be present here in the objects even without scientific efforts. Here, we work with human actions, creations, and ideas. Humanity is in discourse with itself. This science has a different mission to discharge than when confronting nature. Here again, the mission first appears as a human need. The necessity of finding the idea inherent in nature, as well as its reality, first appears as a need of the mind; likewise, the purpose of the humanities exists first as a human impulse. Again, it is only an objective fact announcing itself as a subjective need. The Humanities deal with a higher level than organic nature, they deal with the actions of the highest form of existence in physical form on the Earth, the human being! [page 85] In organics, we must keep in mind the general, or the idea of the type. In the humanities, however, we must take hold of the idea of personal existence. The point here is not the idea as it lives in the general (or type), but as it appears in the single being (or individual). It is, of course, not important how personal existence evolves particular forms out of itself and initially manifests in sense-perceptible existence; the important thing is personal existence as such, self-enclosed and self-directed. If we are indeed self-directed, the power to act resides in each of us, not elsewhere. This is the theme of Chapter 19 entitled "Human Freedom" — which subject he would address in greater detail 12 years later in his classic treatment of freedom, The Philosophy of Freedom(4). The guiding power must come from inside of each of us. [page 91] This guiding power does not live somewhere outside of humanity as will; rather, it has entirely renounced its own will so that everything depends on human will. Before we can create our own laws, we must abandon all concern about such matters as universal determinations that come beyond the human world. In this next passage, young Steiner gives credit to a source of his philosophy of freedom. Compulsion or coercion or laws of the State, call it what you wish, they are all obstructions to freedom. [page 91] We take this opportunity to point out the excellent treatment of this subject by Kreyenbuhl in Philosophical Monthly. This paper correctly explains how the fundamental principles of our conduct always arise directly from the determination of our individuality; how everything ethically outstanding is not inspired by the force of moral law, but accomplished through the direct impulse of an individual idea. Only such a view makes true human freedom possible. If the human spirit does not bear within itself the reason for its actions, but must direct itself according to commandments, it acts under compulsion; it is in this case subject to necessity, almost like a mere creature of nature. How can a government be built on a philosophy of freedom? Haven't all governments required the threatened use of force of arms in order to maintain order and compliance with their laws? The Old West for a time survived without force of law, but soon the absence of law was called lawlessness, a word synonymous today with all manner of evil and equated to lack of government. Rightly understood, a government which utilizes force at any level is a so-called government — a coercive bureaucracy — and freedom cannot thrive under a coercive bureaucracy. To build a government based on freedom as Steiner describes it in his philosophy requires that there be no coercion at any level. 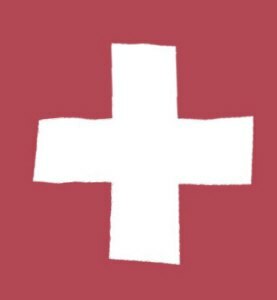 For myself I did not think such a government was possible, but when a chance came for me to learn about how it is possible, I paid good money(5) to learn about that possibility. I learned a definition of freedom, which, if I freely choose to accept, allows me to live in freedom, and if the rest of this great land chose it tomorrow, all the man-made coercive laws would fall into disuse because there would be no one willing to enforce them or follow them. The functions provided by our so-called government (and every other so-called government in the world) would be quickly replaced by non-coercive entities, everything from garbage collection, court systems, to defense. The threefold system of society proposed decades after this book would be a natural outcome of that change because there would be no interference between any agencies of a true government based on Steiner's principles of freedom. This is a form of government which one can not create by armed revolt, because such a revolt creates other revolting things such onerous coercion, given enough time. No, this form of government can only be built, one person at a time, as each person accepts the principles of freedom and discontinues dancing with the forces of coercion(6). How all this is possible was created by Andrew Joseph Galambos in his Volitional Science courses given to tens of thousands of people all over the world and documented in his book, Sic Itur Ad Astra. [page 91] Our philosophy is a philosophy of freedom, therefore, in the highest sense. First it shows theoretically how every force that controls the world externally must fall away before human self-mastery, in the highest sense of the word, can come about. When human beings act in a moral way, in our view this is not merely the fulfillment of duty, but an expression of the wholly free nature of the individual. One acts not through compulsion, but through self-determination. It was Galambos in his innovative thinking who first broke the Kant-Schiller logjam of thought. [page 92] The well-known Kant-Schiller controversy revolves around these truths. Kant took the position that duty commands. He believed it degrades moral law to make it dependent upon human subjectivity. In his view, human beings act morally only after banishing all subjective motives and bowing purely to the majesty of duty. Schiller saw this view as a degradation of human nature. Is human nature so evil that its own impulses must be set aside completely before it can be moral? Schiller's and Goethe's worldview can acknowledge only the perspective we have presented. We find the beginning of human action in humanity itself. In R. G. Collinwood's The Idea of History he claims that all history is the history of thought. Where do thoughts come from? The age? No, they come from individuals such as Goethe, Schiller, and Galambos and their thoughts can shape the ages following their lifetimes. [page 92] History is simply the evolution of human actions and views. Goethe said, "In all times, only individuals, have worked for knowledge, not the ages themselves." [page 94] For us, the human being has proven to be the central point of the world-order. As spirit, the human being attains the highest form of existence and, in thought, achieves the most accomplished world-process. . . . If happiness come to us, we have only ourselves to thank. Any power that gives us happiness from without condemns us to a lack of freedom. Before anything can give us happiness, we must first give it that power. In a higher sense, attraction and aversion exist for human beings only to the extent that we experience these as such. Hence, all optimism and all pessimism fall to the ground. In the concluding Chapter on Knowledge and Artistic Creation, we discover that science pours the material world into the realm of spirit by formulating its laws, while art pours spirit into the material world by creating its works of art. Goethe, for his part, claimed that there is no idea of beauty; "beauty is but the sensory reflection of an idea." In other words, no idea, no beauty. Beauty as an idea is an empty set. When our mind seeks one of the endless possibilities in the womb of nature, we envision some idea. How we impress this idea determines whether we are doing science or art. [page 97] In science, this occurs only in the form of the idea — in the directly mental, or spiritual, medium. In art, it occurs in sensorially or mentally perceptible objects. In science, nature appears purely as idea, "embracing all the separate parts"; in art, an object of the external world appears as a representation of this all-embracing quality. Art impresses the infinite — which science seeks in the finite and endeavors to represent in the idea — upon material taken from the existing world. What appears in science as the idea is the image in art. The same infinite is the object of both science and of art, but its appearance differs in each; the manner of representation is different. Thus, Goethe criticized the fact that people spoke of the idea of beauty as though beauty were not simply a sensory reflection of the idea. We have breached the dam holding back the ideas which Goethe unleashed upon a world ill-equipped to understand and accept them. Steiner encountered these ideas as a very young man assigned to work with the Goethe Archives in Weimar, Germany. He encountered many sticky issues in Goethe's thoughts, but they were like a briar patch to a rabbit and Steiner felt very much at home. He speaks to us now across the centuries, the 18th,19th, and 20th, and brings alive Goethe's Theory of Knowledge, filled with ideas for us situated in the 21st Century and beyond. Whether you are an artist pouring spirit into matter or a scientist pouring matter into spirit, Goethe will speak to you, to your occupation, to your higher self, and give you a hand up, lift you to another level of understanding. Footnote 1. See Korzybski's master work, Science and Sanity, from which the modern science of General Semantics was created to bring an improved ecology to the process of thinking. Footnote 2. Kant derided ideas, calling them "structures that manifest through reason as mere fantasy, or illusions" and averring that they could not be based on objective conditions. This marked a great distinction between his epistemology and that of Steiner and Goethe. Footnote 3. Such as Kant's epistemology. Footnote 4. For my part, I cannot abide those who rename Steiner's Philosophy of Freedom by the confusing title of Philosophy of Spiritual Activity or even more obscure, Intuitive Thinking as a Spiritual Path. What is simpler, more direct, and more explicative of his intent in the book's title than the single word Freedom? He clearly wrote the book to expand on this Chapter after a decade of thinking further on the subject of Freedom. I understand the intent of those who change the title, but a footnote would serve their purpose better, in my humble opinion. Footnote 5. My tuition was over 600 hot dogs, 300 dollars at that time. Footnote 6. As a practical matter, while building freedom, one should willingly obey the forces of coercion to the extent of the coercive law, but no further. Give them what they ask for, but no more. If the law requires you to vote on Election Day, vote. If the law requires you to wear seat belts, wear them. If the law requires you to file tax returns, do so. If it requires you to buy medical insurance, buy it.